Stephen Enniss, the Eric Weinmann Librarian at the Folger Shakespeare Library in Washington, DC and former Director of Emory University’s Manuscript, Archives, and Rare Book Library, has an article in the current Times Literary Supplement called "Ted Hughes, archives and alligators: How – and why – writers' papers end up in British and American libraries." 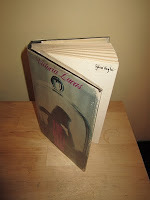 Today Sylvia Plath Info Blog is four years old. In blog years, that is about 80 - which is half as old as Joan Rivers. With that - and I have been thinking about this a long time - I have done a redesign of the blog, which I hope you all like! Here are some trivia questions for you to consider. The answers will be posted in a few days. In the fall of 1954, during the first semester of her senior year at Smith College, which charitable activity did Sylvia Plath do? To whom did she write of this activity? How much money did Sylvia Plath lose playing roulette in Monte Carlo during her winter break from Cambridge in December 1955/January 1956? Who did Sylvia Plath credit in a letter for the title of her poem “Circus in Three Rings”? If you have tried to access A celebration, this is, my website for Sylvia Plath since the weekend you may have noticed that it has been down. The host for the site is doing a server migration and this has lead to some down time. I apologize for any inconvenience this may have caused you but hopefully the down time will cease soon! Thank you! Revising Life: Sylvia Plath’s Ariel Poems by Susan R. Van Dyne. I really keep hoping more books by Plath are available to US Kindle readers. Remember, you can download a free Kindle reading app for your computer or smart phone (there is no app for a dumb phone, sorry). Do You Plath in a Land Down Under? Readers of Sylvia Plath, be on the lookout for Eavan Boland’s A Journey with Two Maps: Becoming a Woman Poet (published April 11, 2011, by W. W. Norton & Company). In addition to "The Other Sylvia Plath," Boland writes on herself, Adrienne Rich, Charlotte Mew, Elizabeth Bishop, Edna St. Vincent Millay, Denise Levertov, Anne Bradstreet, Gwendolyn Brooks, and Paula Meehan. Thanks to Melanie in Australia for bringing this to our attention. Most of the chapter on Plath can be read if you do not mind toggling between Amazon.com and Google Books. "But what precisely did Hughes mean by 'owning the facts'? That others have no right to speculate on what is uniquely ours? Perhaps. But if that is what Hughes meant, he snookered himself by appropriating so many of the 'facts' of Plath's life, thereby inviting and possibly demanding the very contestation he decried." I feel this was and is the crux of what could be called Hughes' Hypocrisy. While I do kind of feel his 1989 comments are almost hackneyed at this point, it is something that pops up from time to time. It is similar to, say, the insanity of including the image of the 20-year-old Guest Editor Plath smiling and holding a rose on the back of the 1971 edition of The Bell Jar by Harper & Row. If you did not want or do not want that novel to be read autobiographically, then why include a photograph of Plath which is a pictorial representation of a scene in the novel, which is excerpted just above the image? Did they have the word "Duh" in 1971? You're asking for conflation! Anyway, I enjoyed Jones' article immensely. Moving away from Australia for a second... keep an eye out for "The Role of Second-Person Narration in Representing Mental States in Sylvia Plath's Smith Journal" by Zsâoâofia Demjâeâen. This essay appears in Journal of Literary Semantics. 40, no 1, 2011: 1-21. And back to Australia. Thanks to Suki for the following head’s up about a Plath reference on the ABC (Australian Broadcasting Corporation) show "Paper Giants: The Birth of Cleo." The show is set between 1972- 1975, and in Monday night’s episode, lines from Plath's "Lady Lazarus" were part of the soundtrack. After they'd been spoken, someone said to Ita Buttrose (the editor and heroine played by Asher Keddie), "She was a magazine Editor too you know. Which Magazine? Mademoiselle?" I'm just sending you away. Over on ladylazarus.tv, Florian Flur has posted a rare photograph of Sylvia Plath, taken by the poet, translator, and photographer Siv Arb. He has posted next to it the color photograph from the same photo shoot that we should all more or less be familiar with. However, this black and white shot shows Plath with Frieda and Nicholas Hughes from a different angle. Thank you Florian! Over at Emory University, Amanada Golden has the first of three blog posts on taking her students into the archives and working with these kinds of primary sources. I am looking forward to reading parts 2 and3. A slight disclaimer: the page would not load in IE but was fine in Firefox. The following is a guest post by Sheila Hamilton, whom you may remember reviewed "Wuthering Heights" on this blog. Sheila's poem "Walking in the Underworld" was published in Plath Profiles 2, and she is the author of Corridors of Babel. The first time I went to Heptonstall was in August 1995. Just along the road from the village, then down a lane into the Calder valley, is a large and rather splendid 18th-century house, Lumb Bank. It was originally a mill owner's house, then in the late Sixties it belonged to Ted Hughes the poet who was also, by then, Sylvia Plath's widower. By 1995, the house had been for many years run by the Arvon Foundation as a creative writing centre. 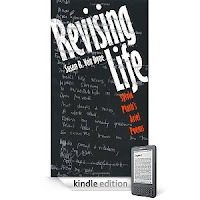 In August 1995, I had arrived to attend one of Arvon's residential poetry courses. It was a warm and sunny day in a warm and sunny summer, so after unpacking my things and having a cup of tea, I strolled up the lane and down into the village. With that strange feeling we get when visiting a place we know only from other people's words, other people's photographs. I was familiar with Fay Godwin's black-and-white photographs of Heptonstall and its locality, and it was with some excitement I caught my first glimpse of the church tower. I wandered down the main street of dark-stone cottages and cottage gardens patrolled by cats and chickens. I turned right when I saw the sign for the church. Much as I was happy to see the village, the bright flowers in the gardens, the old gates and doors (many of which date from the sixteenth century, when Heptonstall was a wealthy textile village), my main aim that afternoon was to go and see Sylvia Plath's grave. There are, in fact, two churches in the graveyard at Heptonstall.The original C13th church was badly damaged by a storm in Victorian times ; since then it has been a roofless and windowless ruin, its archways intact. The spire that I had glimpsed further up the road belongs to the newer church, completed in 1854 to replace the storm-ravaged one. This is the church of St Thomas a Becket, the church used today by Anglicans in the village, and it was the church where Plath's funeral took place in 1963. The graveyard round about these churches contains graves dating back to the seventeenth century. It even boasts the grave of an executed counterfeiter and long-established rogue, David Hartley, a man famous (or notorious) in the Yorkshire of his time. Everywhere you look there are gravestones, some vertical, many horizontal, hardly any grass peeping between the gaps. Most of the graves stones are Victorian, some adorned with weeping angels and mournful cherubs, some large with verbose inscriptions, others quite plain, stating bare facts. Plath evokes this graveyard beautifully (and depressingly ?) in her 1956 poem "November Graveyard." "Flies watch no resurrections in the sun," she writes in that poem. I will state here that I saw no evidence of vandalism on the grave. The letters of the name "Hughes" had indeed been chipped off in the late 80s by angry feminists who felt that Hughes had caused Plath's death and subsequently tampered with her literary legacy. Newspapers in England even now trot out phrases like "Plath's much-vandalized grave" but, in truth, this happened maybe three times, and was already well in the past by 1995. Some people who love poetry and admire Plath feel that the gravestone is drab, that it doesn't do her justice. I don't agree. I rather like the fact that she is here, in among Yorkshire villagers, her stone overlooking the dramatic and (in certain lights) beautiful moors. When I went that first time, in August, the long grasses in the graveyards were beige, parched for water, and there were these wonderfully bright pink rosebay willowherb flowers everywhere, not planted, not contained, just springing up naturally. (Another term for them is Indian Balsam.) They are, in fact, originally an American plant and so, like Sylvia, an import from the other side of the Pond!) All that pink made the graveyard seem almost jolly. Butterflies flitted in and out of the grasses; a magnificent dark cat snoozed in a shady spot. Later in the same week, a week that proved very productive for me, I went back with other participants on the poetry course. One morning I found myself working very fast, very happily on a new poem and sitting in one of the corners of the roofless church , surrounded by notebooks! I don't always find the concept of muses very helpful, but there was certainly a sense that Plath was helping me, giving me some of her energy. I knew the facts of her death, of course, and these are tragic facts. But what shone for me that week was Sylvia as poet, as creator, turning often painful subject-matter into vibrant poems that have lasted. I have been back to Heptonstall several times since then, taking photographs, making notes, walking, enjoying. Admittedly, I have not been there in the wet gusty weather that West Yorkshire is prone to, and I accept that that would give me a different view of it. But I have seen photographs of it in deep snow, and the snow against the dark stone of the church, the dark stone of the houses is beautiful. The whole area is steeped in the history of the Industrial Revolution, peppered with disused mills, mill-chimneys, and with the chapels that sprung up at about the same time. It is also a short distance from Haworth, home of the Brontes. It is not a pretty landscape in any conventional sense, and it must have been a huge contrast for Sylvia, visiting Ted Hughes's family here shortly after her marriage in 1956. Up till then her England had been, briefly, London but mainly, overwhelmingly, Cambridge, a small university city of honey-coloured buildings, elegant quads, cafes haunted by students in black academic gowns. Cambridge is in one of the flattest counties in England; Yorkshire is one of the hilliest. But Plath's letters home from that time (even when you bear in mind how keen she was to impress her mother) radiate a genuine happiness about being in this rugged environment, an environment rather like Hughes himself. The poems that came from her visits are darker in tone ("Wuthering Heights" as well as "November Graveyard"). . .and they are good poems. I sense the place nurtured her. The following was recently sent to me for your consideration. The event will be at the Forbes Library in Northampton, Mass. on Wednesday 13 April, and starts at 7 P.M.
Join us for an evening inspired by twentieth century poet Sylvia Plath. Coolidge Room. Poet Nancy K. Pearson will read both new poems and... work from her book, Two Minutes of Light, published by Perugia Press, http://www.perugiapress.com/, which is based in Florence. Karen V. Kukil, Associate Curator of Special Collections at Smith College in Northampton, Massachusetts, edited the Unabridged Journals of Sylvia Plath, 1950-1962, published by Faber and Faber in London and Anchor Books in New York in 2000. The creative marriage of Sylvia Plath and Ted Hughes was the focus of a collaborative exhibition co-curated by Karen Kukil and Stephen Enniss at the Grolier Club in 2005. The accompanying catalog, “No Other Appetite”: Sylvia Plath, Ted Hughes and the Blood Jet of Poetry, won the 2007 Division One Katharine Kyes Leab and Daniel J. Leab American Book Prices Current Exhibition Award. For additional information, see Ms. Kukil’s website. Cornelia Pearsall is a Professor of English at Smith College, specializing in Victorian literature and culture. Her book Tennyson's Rapture was published by Oxford University Press, and she is currently working on several other scholarly projects, including a book on poetry and imperialism and another on poetry and war. Nancy K. Pearson’s first book of poems, Two Minutes of Light, won the 2009 L.L. Winship/PEN New England Award. Her book has been selected as a Must-Read from the 9th Annual Massachusetts Book Awards. Pearson has received numerous fellowships and awards including a 2010 grant from the Massachusetts Cultural Council and two seven-month poetry fellowships at The Fine Arts Work Center in Provincetown. Originally from Chattanooga, TN, she now lives on Cape Cod with her partner. The evening is part of the Local History/Local Novelists series being held at Forbes Library through May, curated by Forbes Writer in Residence, Susan Stinson. The final evening in the eight month series, on May 4, will be a celebration of local novelists with Anthony Giardina, Cathi Hanuaer and Frederick Reiken. For more information, visit www.forbeslibrary.org or call 413-587-1017. All events are free and open to all. 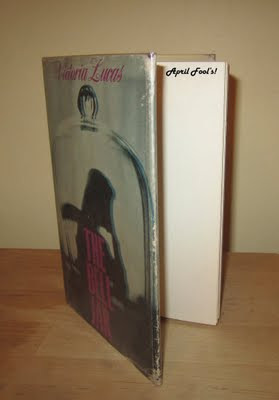 The typo was corrected in 1996 when Faber released The Bell Jar as part of their Faber Library. The Faber Library reprinted seminal books from their own seminal publishing history. However, I would argue two things: first: revert to the typo because although it was missed by Plath amd the editors in the proof amd production process -which may be embarrassing, but hey these things happen- it was part of the text as ultimately amd finally approved by Plath; amd second: that instead of listing it as a Faber title from 1963 -which it was not- that they be a little more accurate amd literal amd honest amd state the novels publication date as 1966, which is when in fact they first published an edition of it (though Faber used the same setting of type as Heinemann, they obviously changed the preliminary pages to reflect their own cataloging and branding information). The second part of the did you know is a follow up to the April 1st guest post by Margi Naylor. 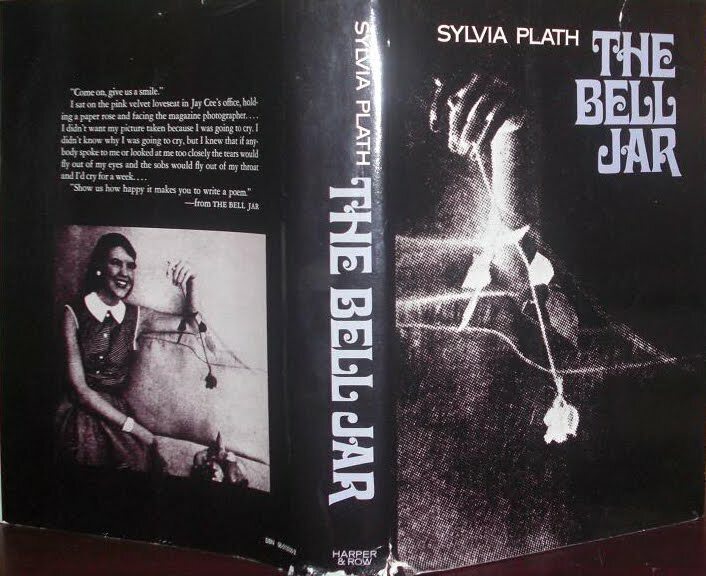 We have a new image of her Bell Jar! See below. 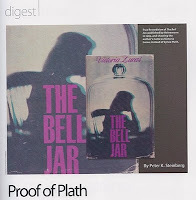 My article "Proof of Plath" on the proof of the Victoria Lucas edition of The Bell Jar is now available through Fine Books & Collections. You can find it on pages 11 and 12! Order your copy of the Spring 2011 issue here. Later on this week I'll have - for a change - a post about Sylvia Plath. 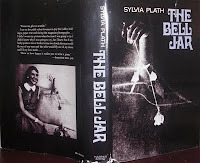 The following is a guest post, answering my recent request for contributions to this blog by those who collect Sylvia Plath books or have interesting stories about their collections. If you collect Plath too, and want to share, please email me! Peter's recent postings on Plath books and manuscripts at auctions and his history of highlighting collecting, collectors, and archives on his Plath blog spurred me into writing this post. Like many I am mainly a lurker of this wonderful blog but not usually willing to participate in discussions, even though the atmosphere here is friendly and welcoming. And as you will see, this post is as much to tell a story - my story - about acquiring a unique book as it is possibly to make a wider audience known to what proves to be for me a devastating loss. In the mid 1960s I was living in England, attending university in Plymouth. My boyfriend at the time, William, was British and came from a small town near Woolfardisworthy, in North Devon. He introduced me to Sylvia Plath’s poetry and when The Bell Jar was published in England in 1966 I bought a copy and was hooked. The writing was so humorous. I guess also being an American woman who grew up in similar circumstances afforded me somewhat of a direct connection to the novel and also to Plath's own life story (long history there that I don’t really care to get into). William gave me a nice first edition of Ariel, and to round out my young collection, I found a Heinemann edition of The Colossus, too, at a bookshop in Oxford on one of our weekend excursions (at that time - being young and full of energy - I tried to see as much as I could at the weekends). I saw and still see so many parallels between the novel and Ariel. I no longer remember where I was when I found it, but William and I were traveling back to Plymouth one weekend from Bristol, and we stopped for a meal and had a browse around a bookshop. I preferred back roads for the scenery - we found many pubs and little quaint towns in our travels this way - to the bigger, impersonal roadways. Anyway, at this bookshop, I remember browsing the literature and poetry sections - being there to study English - and was surprised to find a copy of The Bell Jar by a Victoria Lucas - the Heinemann edition. I read the first lines and was surprised to see it was the same as Plath’s. I enjoyed her work, but didn’t know at the time it was published originally under a pseudonym. This copy was exquisite, and in an almost untouched dustwrapper, bright and intact as the day it was printed. The bookseller priced books using a slip of paper inserted like a bookmark. The price was £9.2s.11d. (which was 9 pounds, 2 shillings and 11 pence); and the book appeared mostly unread. It was a lot of money for me but without thinking further I bought it. I asked the man when he obtained this particular book and he said he had bought it with a lot of other books at a local estate sale that was held via auction (which is how I think my story links up with what Peter has been posting recently). But, beyond that the bookseller didn’t know much more. When we got back to university and I took the book out of the paper the seller wrapped it in, I noticed that in the top right of the front free endpaper was written "Sylvia Hughes" in what looked like a woman’s hand. The book was mostly unmarked; no bookplate, no foxing, or anything: there was just one instance where a typo appeared in the text that had been corrected by hand. I remember I thought it was odd, and noted that the correction was in the same black ink as the name on the free end paper. There was also a “Compliments of the publisher” slip of paper that was tipped in at the end of Chapter 13 and I always found this somewhat touching as that chapter represents the nadir of Esther Greenwood’s story, just before her rebirth and recovery. I stayed in England a few years (sadly, things with William didn’t work out, which was a shame because I loved his accent and the mere fact that he was from near a town called Woolfardisworthy) and became by accident kind of a Plath addict. I built somewhat of a shrine of books on my bookcase, each of those first few titles displayed face out on book stands, relegating all my other books to a mash of single-file, spines-out camaraderie. In 1969, however, that Victoria Lucas Bell Jar took on a new significance. I saw a sample of Plath’s handwriting in an issue of the Cambridge Review and it was then that I learned what a truly rare book it was that I had, for the handwritten “Sylvia Hughes“ on the free front endpaper in my book was written in the hand of Sylvia Plath. After I learned whose handwriting it was, I wrote to Ted Hughes via his publisher to let him know about the book. I received a reply a few months later letting me know that some of Plath's things had "walked" in the years since her death and that in his estimation this book likely went missing about 1964 or 1965. He said that I should keep it (I had offered to return it to him), indicating that while he appreciated my honesty it didn't seem to be a good use of his time - "however frustrating" - to try to hunt these items down. My collection grew beyond those initial gifts and purchases as I bought books by Plath as they were published through the years. I read all my books thoroughly, perhaps not treating them as or considering them to be “collectibles” - at the time I had very little knowledge of how to care for books to maintain the desired “as new” condition. Thus, you could see in the image below that the once pristine dustwrapper endured quite a bit of wear and tear. I remember it was after Plath won her Pulitzer Prize that I broke down and had all the books protected in mylar coverings, and so at least that rubbing and chipping to the wrapper was arrested. For all the accretions to my library, I cherished that Bell Jar more than anything else. After retiring from teaching in 2003, I moved from Cleveland “the mistake on the Lake” Ohio to Florida (for the weather!) but along the way several boxes of clothing, kitchen wares, and books - including my Plath books - went missing. The moving company was reputable but even they weren't sure where these boxes were delivered to or what happened to them. I never should have allowed some of those boxes out of my sight! I had insured everything, though how does one insure a priceless book! That is, how do you place a value on a book which no price would convince me to part with. And so the damage at this point is emotional. But I'd love - really, really love - to get those books back - particularly what appears to have been Plath’s own copy of her novel. I have no idea if it's in Kentucky or Georgia or even Manitoba or somewhere else altogether. I did take some pictures of it in the 1990s as I was preparing my will (but that’s terribly grisly of me to mention, let alone to think about) and include one here as Peter thought it might help someone if they were to come across it. I realize I’ve carried on quite a bit, so thank you all for your time in reading this!